BIRMINGHAM – Texas Southern Te’era Williams was named 2012-13 Southwestern Athletic Conference Freshman of the Year and Alcorn State’s Carolinsia Crumbly was tabbed Defensive Player of the Year by the league’s head coaches on Friday. Texas Southern’s Brianna Sidney was selected to the All-SWAC Second team. Williams ranked in the top five in seven statistical categories in the conference as she combined with Sidney this year to form a dynamic scoring duo. To start her collegiate career, she led Texas Southern in scoring with 12.7 points per game finishing fourth in the SWAC in the category. She shot among the league’s best from the floor hitting 48 percent. 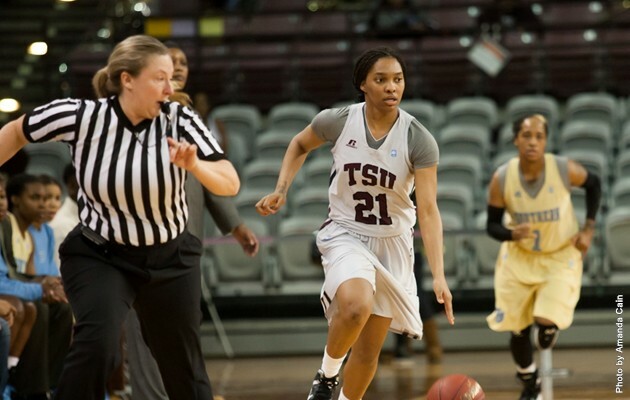 She led TSU in scoring in seven games and was the team’s leader in rebounds in nine.